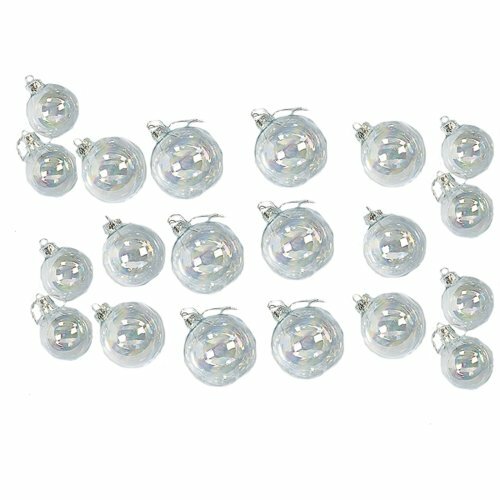 Common Christmas tree decorations have always included clear glass ornament balls which can be used on any type of tree with almost any type of theme. 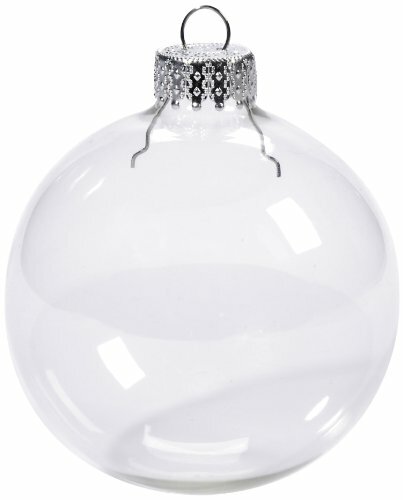 On our tree we always used them as is, just the plain clear glass ball, without doing anything too special with them. We always used multi-colored lights on our tree which meant that the glass would reflect the different colors and make the tree absolutely beautiful to look at. This would work well even with clear lights which I know are also popular for decorating. A friend of mine is not a fan of these types of ornaments because they are often completely see through and they do not enjoy seeing the inside hook or the branches through the orbs. What some people forget though is that the glass decorations can often be popped open and filled with items such as colored glitter or fake snow. They can also be used as customized gifts by putting pictures or small keepsakes on the inside. Because they are glass, the orbs can be very fragile. I am by no means the most graceful person so I would never try to handle the ball ornaments anymore than I would have to but for anyone who is crafty, you could very easily customize these glass ornaments by painting or etching them allowing for an infinite amount of creativity in your Christmas decorating this season. Both the Darice brand glass orbs are perfect for creating personalized ornaments. As mentioned above, you can paint, etch, color, and embellish in any way you see fit. This means that you are not limited in only using them for Christmas. They can be used for other holidays, school projects, and crafts in general. I would cut out holiday pictures such as Santa Claus, trees, reindeers, and snowmen so that I could place one picture inside each orb and lightly decorate the back of the orbs with some glitter so that you wouldn’t see how clumsy I had put in the picture. 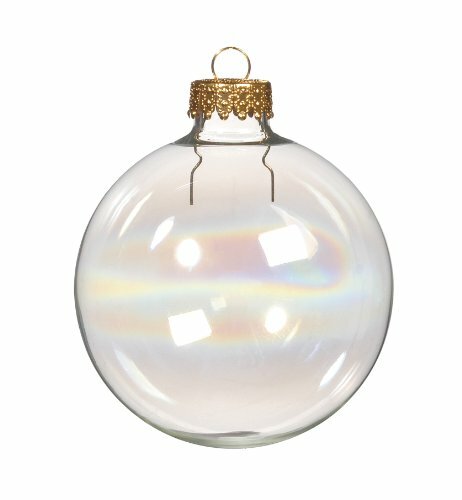 For those looking for a large set of the clear ornament balls, the Kurt Adler set above comes with a number of different sizes so that you can create different effects. The set comes with small, medium, and large glass orbs which makes it a great option for people looking to decorate and give gifts. I would recommend decorating the larger ones in these sets simply because they are very large and very see through which I think makes them look a little bit like a light bulb. But this might work great for your theme this year. Last but not least, I have included an LED lighted ornament ball which I had never seen before. This is perfect for anyone looking for a showstopper. 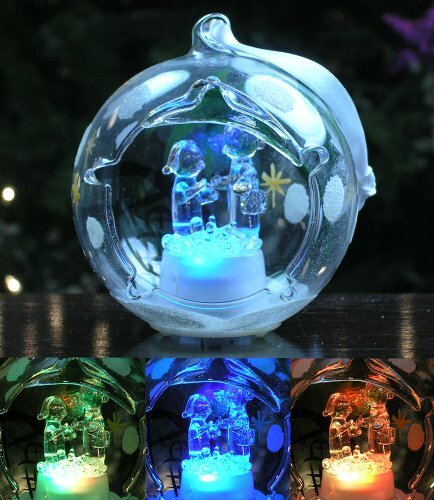 It has a tiny nativity scene and lights up with different colors so that it really brings attention to itself. This just shows you how creative one can be with anything clear! It changes between a red, green, blue, and purple light and would look stunning surrounded by clear lights, colored lights, or just sitting among the branches. All of these options can be used year and year. Whether fillings are changed, balls are colored, or they are used as is, you will not have to worry about buying new ones. Keep in mind that most glass ornaments are very fragile so it is important that they are stored safely between holiday seasons.